ISLAMABAD -- Pakistan Tehreek-e-Insaf (PTI) chief Imran Khan, his country's soon-to-be prime minister, has vowed to foster ties with Afghanistan with an emphasis on open borders and free trade. Khan in a televised speech July 27 discussed Pakistan's relations with its neighbours. Afghanistan has greatly suffered from war and violence over the past few decades and Pakistan is ready to co-operate in bringing peace to the war-ravaged nation, he said. "Afghanistan... has seen the most human misery and damage in the name of wars. The people of Afghanistan need peace, and Pakistan wants peace in Afghanistan," Khan said. "We want to work in every possible way to ensure peace in Afghanistan. I would love an open border system with Afghanistan like the [one within the] European Union," he said. Political analysts and business leaders are hopeful that Khan's promises will help bring peace to the region, reduce border tensions, and promote trade and cross-border travel, though concerns remain that the new government will be unable to adopt an independent policy on Afghanistan, given Pakistan's powerful military. Relations between Pakistan and Afghanistan have deteriorated over the past few years, mostly over the presence of militants on both sides of the border. Afghan government officials have regularly accused Taliban militants of using sanctuaries in Pakistan to launch deadly attacks. Islamabad has rejected the claims and countered that Pakistani militant groups such as Tehreek-e-Taliban Pakistan (TTP) are hiding in border areas in Afghanistan. Imran Khan's plans for open borders and free trade with Afghanistan will benefit both counties, according to Tahir Khan, an Islamabad-based journalist who writes about terrorism and Pakistan-Afghanistan affairs. "Although it was a televised speech and not a detailed policy plan, his speech shows that the upcoming government is keen to play its role in bringing peace in the region," he said. "There is huge pressure on Pakistan from Afghanistan and the United States to stop cross-border incursions," he said. Pakistan and Afghanistan are already working together via the Afghanistan-Pakistan Action Plan for Peace and Solidarity (APAPPS), which is aimed at accomplishing the common objectives of eradicating terrorism, achieving peace and stability, and developing the region, Khan said. In April, Afghan President Ashraf Ghani and then-Pakistani Prime Minister Shahid Khaqan Abbasi agreed to seven key principles to finalise APAPPS during talks in Kabul. Diplomats from both countries finalised the agreement in May in Islamabad. Ghani phoned Imran Khan July 29, congratulating him on his victory and inviting him to visit Kabul. "We both agreed to overcome the past and to lay a new foundation for a prosperous political, social and economic future of both countries Afghanistan and Pakistan," Ghani tweeted after their conversation. Pakistan has always wanted complete peace in Afghanistan, said Naeem ul Haque, PTI chief of staff and a spokesman for Khan. "After forming a government, Imran will visit Afghanistan to refresh relations between the two countries," he said, adding that PTI's top priority will be to establish better relations between the two countries. The business community, especially members involved in trade between Pakistan and Afghanistan, also lauded Khan's push for open borders and free trade. 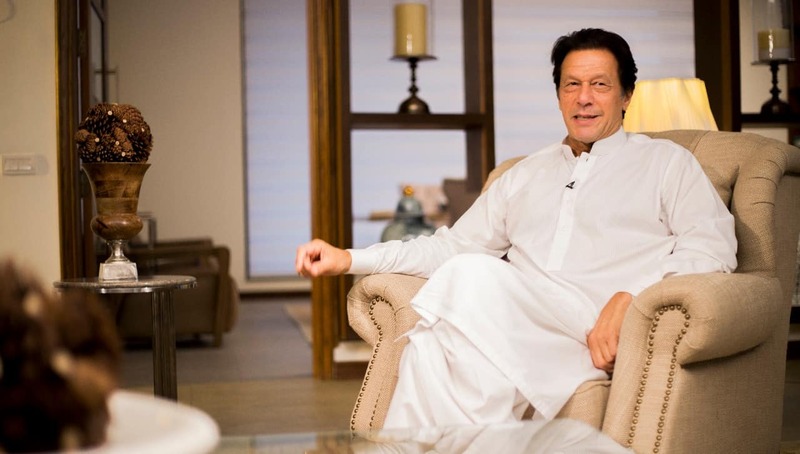 Iftikhar Malik, senior vice president of the South Asian Association for Regional Co-operation Chamber of Commerce and Industry, congratulated Khan on his win and welcomed his promise to nurture cordial relations with neighbouring countries, especially with Afghanistan and India. "The initiative for open borders and free trade will give a boost to people-to-people contacts and help the traders on both sides expand their businesses," he said. A large number of Afghans want to come to Pakistan for medical treatment, education and other reasons, said Basir Hotak, a Kabul-based journalist. Afghans are hopeful that Khan will open the border and ease travel restrictions that prevent them from utilising these services, he said. The peoples of both countries have suffered immensely from terrorism, he said. "They are hopeful that the new Pakistani prime minister, along with his Afghan counterpart, will form a strategy to curb terrorism and bring peace in the region," Hotak said. The cross-border movement of militants to and from Afghanistan has strained Pakistani-US relations in recent years. 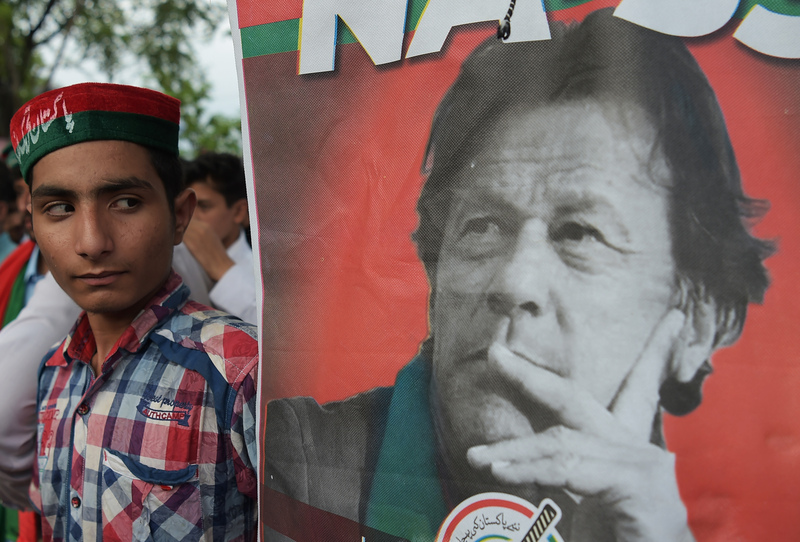 Khan's government faces myriad challenges ranging from population growth to simmering extremism, but many are hoping he can steer the country in the right direction.